When it gets up over 80 we just cannot stay inside the RV without the air-conditioner running. But since we’re not hooked up to electricity that’s hard to do. 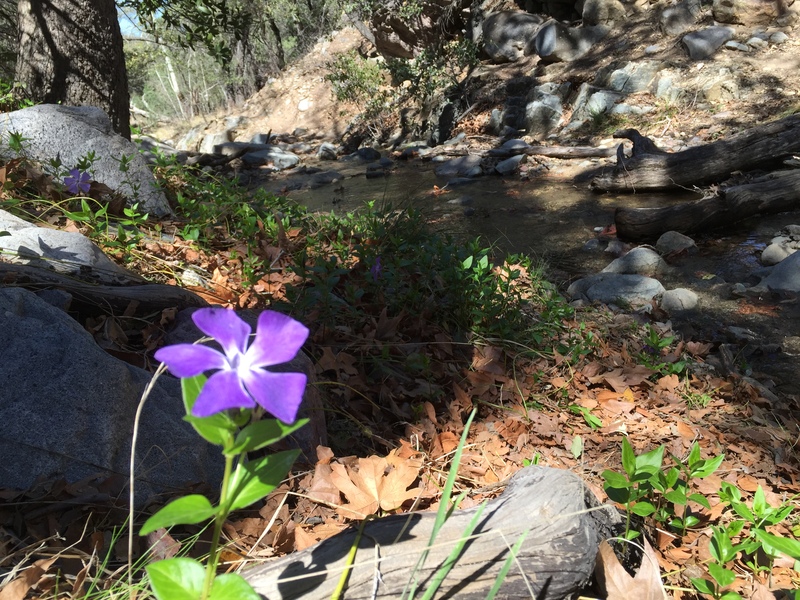 We decided to drive down to Madera Canyon, south of where we are. It was cooler there. 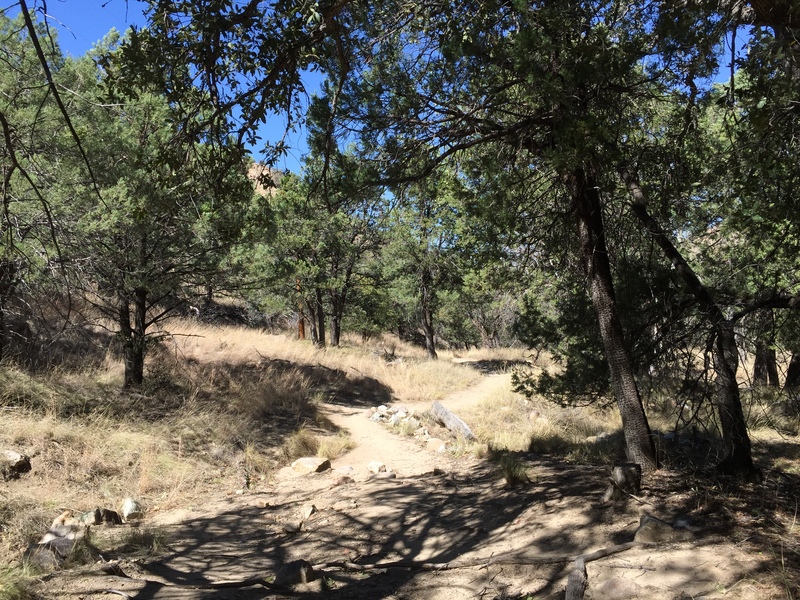 It’s within the Coronado National Forest in the Santa Rita Mountains. Bernie’s feeling better so we went for a short hike in the trees along side a babbling brook. 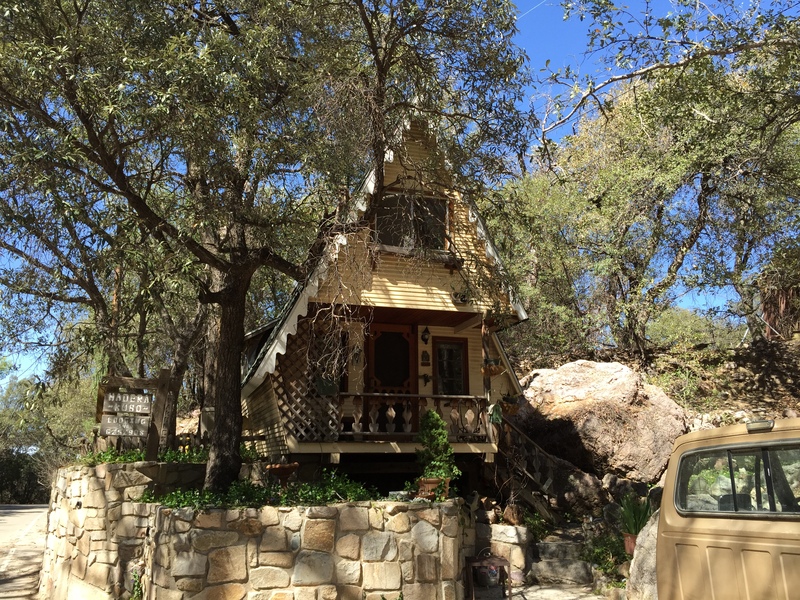 There are cabins for rent and an interesting Bed & Breakfast that looked like it would be fun to stay in some day. 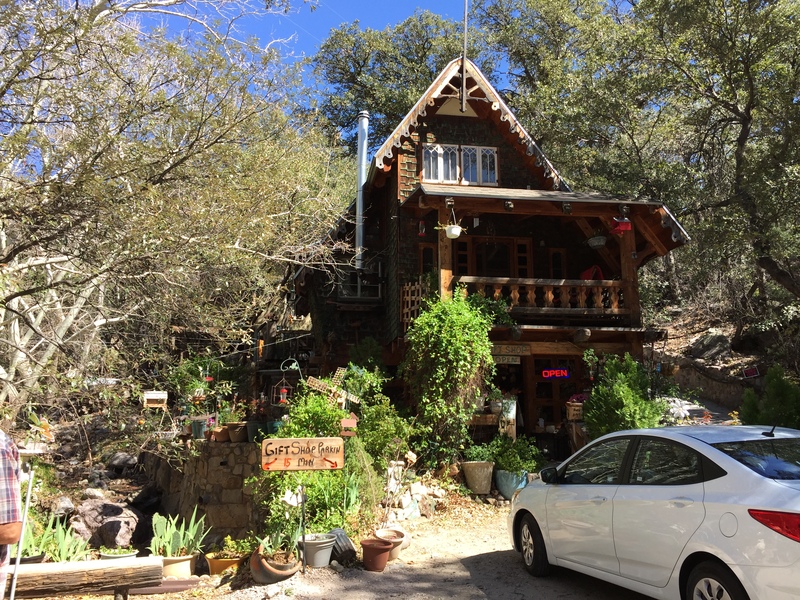 One of the rentals is above the owner’s little gift shop. A little further down the street is another gift shop and some small cabins for rent. They have placed several bird feeders out. 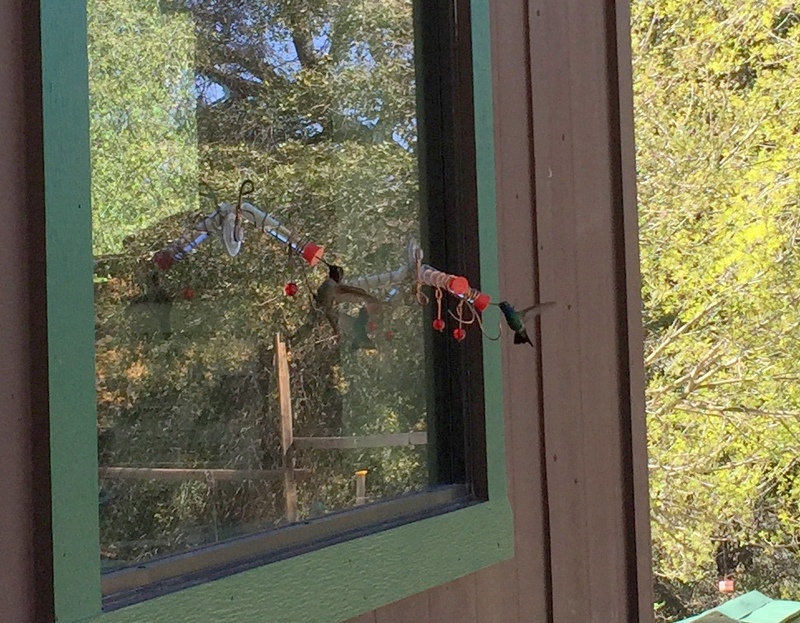 I got a shot of these two hummingbirds at the window feeders. 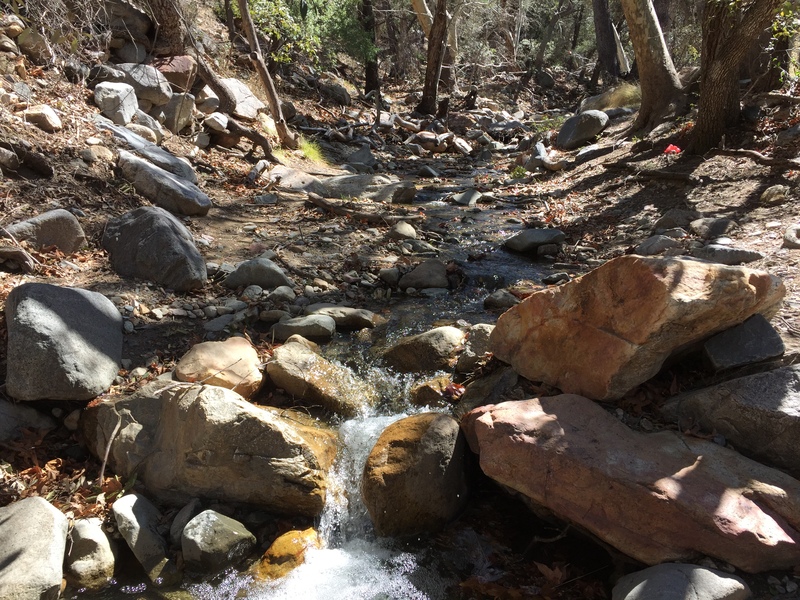 Madera Canyon is a resting place for migrating birds and is rated the third best birding destination in the United States. We watched the bird feeders for a while and saw at least a hundred birds. There were some very serious birdwatchers there with their binoculars and their super duper cameras on tripods. They were almost as fun to watch as the birds were. I was way out-classed with just my little iPhone camera. 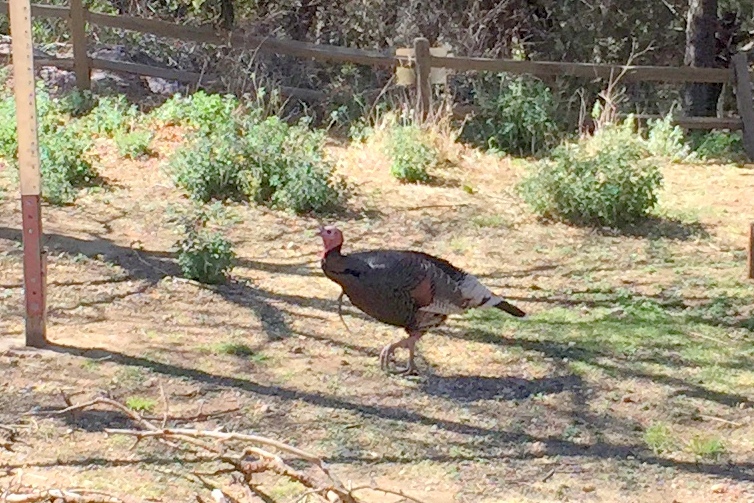 About the best I could get was one of the turkeys that walked by. We were treated to some very nice panoramic views on the way back home. When the sun set it cooled off and the evening was perfect for an evening walk. 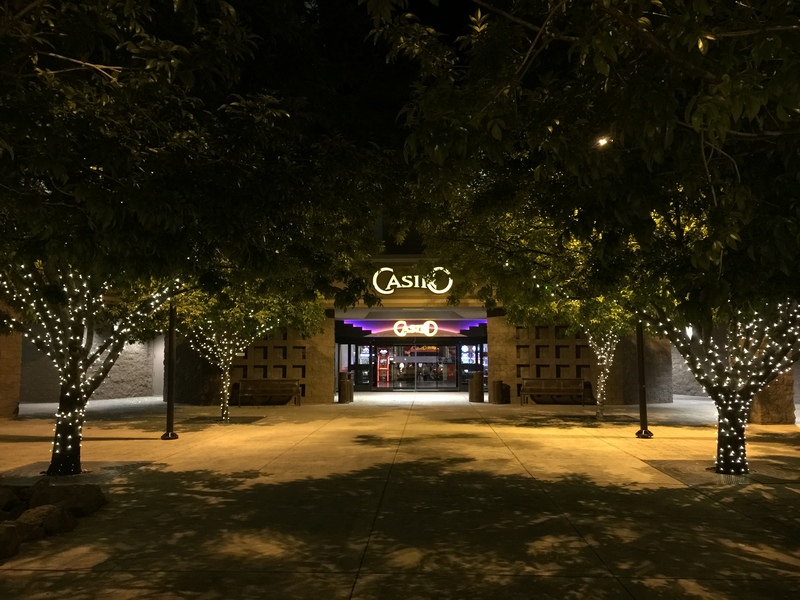 And while we were out we stopped in at the Casino. 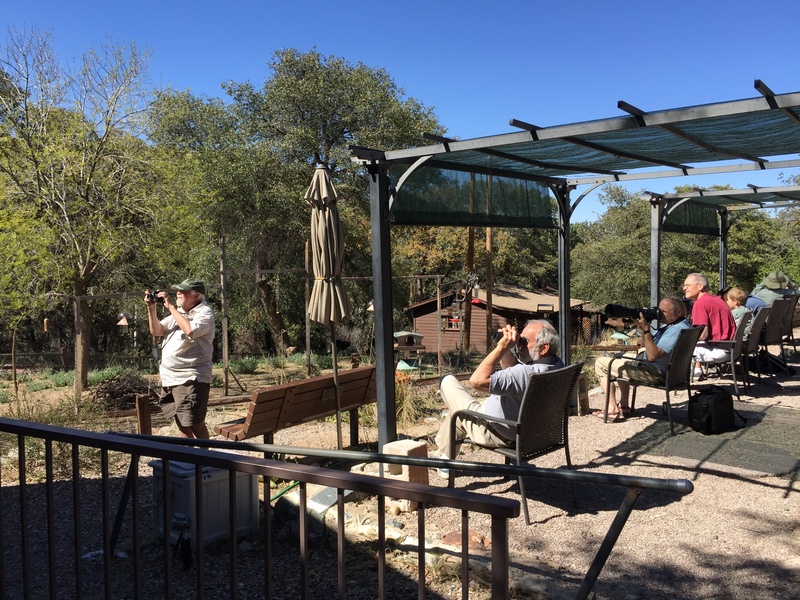 This entry was posted in Arizona, Daily Post, March and tagged Bird Watching, Desert Diamond Casino AZ, Hiking, Madera Canyon AZ. Bookmark the permalink.